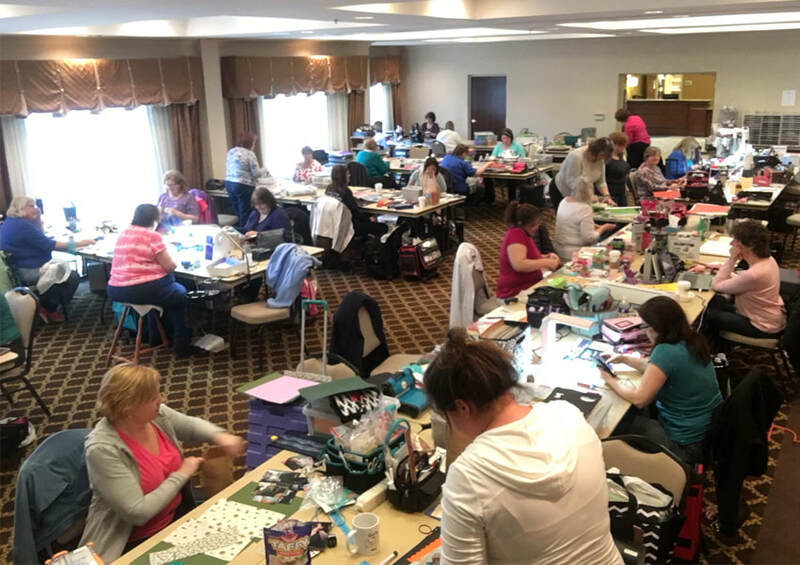 The November 2019 retreat is November 21-24, 2019 at the Hampton Inn in East Aurora. $100 due at registration to reserve your guest room and seat. Final balance is due no later than October 24, 2019. Save $10 off your retreat package price if paid in full by September 26, 2019. If not paid by October 24, 2019, you forfeit your guest room and seat at the retreat. Please mark all tablemate preferences on registration form as well; we do our best to accommodate them. Please understand that if someone in your guest room cancels, your rate will increase and you will be responsible for paying the increased rate. On the flip side, if you add a person to your guest room, refunds will be given for the rate difference.